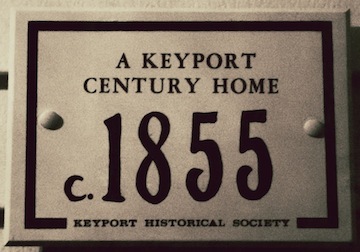 urrently information about a century home plaque can be obtained by emailing the Society at Keyporthistoricalsociety@gmail.com. A copy of the original house deed will need to be submitted so the house can be dated. Deeds from 1976 - present can be found at he Monmouth County Clerks Office. Older deeds can be found at the Monmouth County Archives.